(Jan 23): Wall Street surged 2 percent on Friday to wrap up its first positive week of 2016 as a cold snap in the United States and Europe sent oil prices sharply higher. A 4.3-percent jump in the S&P energy sector laid the foundation for the S&P 500's strongest session so far this year. Crude prices, recently under pressure from a global glut, recovered 9 percent as harsh winter weather boosted demand for heating oil and traders cashed in short positions following a steep drop this month. After dropping earlier this week to 2014 lows, the S&P 500 has recovered in the past two sessions to end the week 1.4-percent higher. But the index is still down 7 percent in 2016 and remains at levels touched last August when fears of trouble in China's economy rattled global markets. "Trying to push stocks up from this level is a bit more difficult than pushing them down. We could be in a very wide range for a long period of time," said Warren West, principal at Greentree Brokerage Services in Philadelphia. The Dow Jones industrial average rallied 1.33 percent to finish the session at 16,093.51 points while the S&P 500 surged 2.03 percent to 1,906.9. 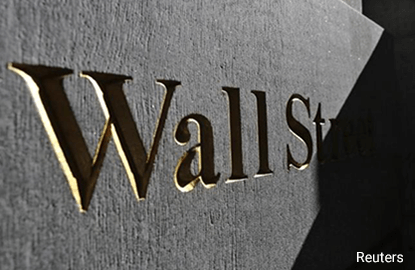 The Nasdaq Composite jumped 2.66 percent to 4,591.18. The recent volatility has led to a spike in volume. About 9.1 billion shares changed hands on U.S. exchanges, well above the 8.0 billion daily average for the past 20 trading days, according to Thomson Reuters data. U.S. economic data on Friday showed existing home sales soared nearly 15 percent in December, handily beating estimates and recovering from a 10.5 percent fall in November. Apple rose 5.32 percent and gave the biggest boost to the S&P 500 and the Nasdaq. Despite widespread concerns about potentially weak iPhone demand, Piper Jaffray recommended buying Apple's shares heading into its quarterly results next week. Fourth-quarter earnings reports are likely to offer little cheer, with S&P 500 companies on average expected to post a 4.3 percent decline in profit, according to Thomson Reuters data. Shares of General Electric declined 1.22 percent after its quarterly revenue missed analysts' estimates. American Express fell 12.10 percent after a disappointing earnings forecast. Schlumberger rose 6.10 percent. The world's biggest oilfield services company reported better-than-expected profit and set a $10 billion buyback program. Advancing issues outnumbered decliners on the NYSE by 2,806 to 329. On the Nasdaq, 2,308 issues rose and 527 fell. The S&P 500 showed three new 52-week highs and seven new lows, while the Nasdaq recorded 13 new highs and 50 new lows.